Do you know what today is? 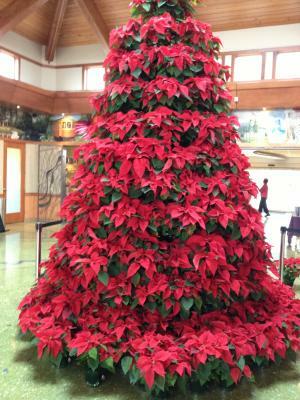 National Poinsettia Day! By an Act of Congress, December 12 is set aside as National Poinsettia Day. The date marks the death of Joel Roberts Poinsett, who is credited with introducing the native Mexican plant to the United States. Poinsett was an American botanist, physician and Minister to Mexico who in 1828 sent cuttings of the plant he'd discovered in Southern Mexico to his home in Charleston, South Carolina. The purpose of the day is to enjoy the beauty of this popular holiday plant. So, be sure to give someone you love a poinsettia on December 12, National Poinsettia Day! Check out our Poinsettia Pages website for fun Poinsettia Facts like these below and to find out more about the best way to care for your Poinsettias.